(AINA) Klaus Wivel is a reporter writing for the Danish weekly Weekendavisen. His book about Middle Eastern Christians, The Last Supper: The Plight of Christians in Arab Lands, was just published in the United States. Wivel sat down with me recently to discuss his book, the Christian community in the Middle East, how those Christians are received in Europe, and what the future holds. THE WEEKLY STANDARD: What drew you to the story of Middle East Christians? KLAUS WIVEL: I started writing about the Israeli-Palestinian conflict in 1998. At the time of the Second Intifada, 2000-2005, it became increasingly evident that Palestinian Christians felt vulnerable. They had been an instrumental part of the Palestinian national movement, but the character of Palestinian nationalism shifted in a more Islamic direction during those years. The Christians told me that they felt like strangers in their own land, and began to leave by the thousands. I was told by Christians in Bethlehem that if the emigration kept going at this pace, no Christians would be left in a couple of decades, besides a few monks and custodians maintaining the holy sites. Being only two percent of the Palestinian population in the West Bank, this assessment wasn’t an exaggeration. Around 2006 even more catastrophic news made its way from Iraq where it was stated that up to two thirds of the Christian population–among the oldest in the world–had left the country. Several churches were bombed, priests were killed, Christians were kidnapped by the thousands, and whole areas of the major cities Baghdad and Mosul were being evicted. Then in 2011, following the Arab Spring and the ouster of then-president Hosni Mubarak, the same stories were heard in Egypt. Christians here, too, were under attack and with even less protection from the security forces than they’d received under Mubarak. I decided at that point to travel to the area to investigate the story myself. TWS: How does the Sunni-Shiite conflict affect Middle East Christians? WIVEL: In Iraq, Christians were caught in the middle during the war. It’s worth remembering that the Christians in Iraq where not a part of the civil war and had no armed militias. They were left more or less unprotected. Both Shiites and Sunnis would kill or kidnap Christians, although it’s unclear whether their crimes had anything to do with religion or sectarian strife or if it was simply local thugs using the shield of militant jihad to get rich from hostage taking. In Syria it’s a little different. Here the Christians have been allied with the Assad regime, made up of Alawites, who constitute a heterodox branch of Shia Islam. For that reason Sunnis have attacked Christians who are seen as Assad loyalists. In Lebanon the Christians are divided against themselves. One part has been aligned with the Sunnis since the pro-democracy March 14 movement ousted the Syrians from Lebanon following the murder of former Prime Minister Rafiq Hariri in 2005. The other part of the Lebanese Christian community, led by Michel Aoun, is siding with Hezbollah. TWS: What do the Middle East Christians want from the Christians of the West, especially North America and Europe? WIVEL: Attention. Many of the Christians I met were baffled by the fact that the Christian West was not up in arms about this. But it’s a delicate matter. 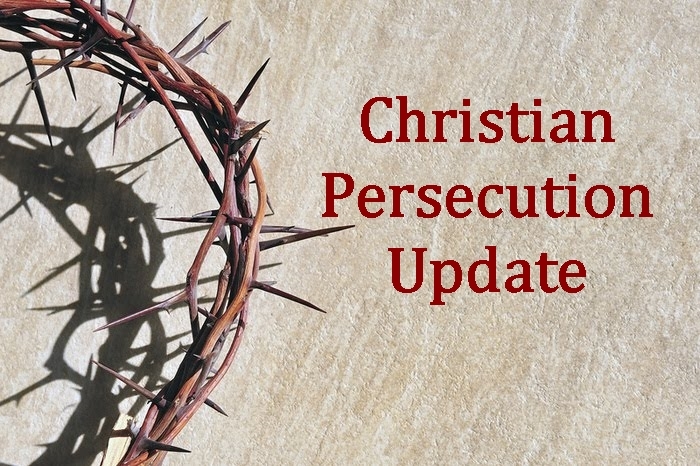 Some Christians think–especially among the clergy–that if Western governments state the case of the persecution of the Christians too forcefully, they will really place the Christians in the poisonous position of being accused of being lackeys of the West. I’m certain that this was one of the main reasons why Western governments gave no warnings about the persecution of Iraqi Christians during the Iraqi war. They feared that if they did that, the invasion would be viewed as a Christian invasion, a “crusade”, a word President Bush learned the hard way never to use again. It was a fair point, but silence didn’t help either. Today there are hardly any Christians left in the areas outside of Kurdistan. This is why it was important when Secretary of State John Kerry recognized Islamic State atrocities against minorities as a genocide. Nonetheless, Christians and Yazidis living in Kurdish refugee camps lack everything, including the most basic supplies like food and medicine. This is a scandal. If we can’t find the means to help the ones who are still in the area it’s no wonder millions of refugees are going to Europe. Our priorities need to be fixed. TWS: Have lots of Middle East Christians found refuge in Europe? Are you working with Christian groups in Europe now to help Christians from the Middle East? WIVEL: Many don’t realize the dire nature of the situation. In my home country, Denmark–officially a Christian nation, but among the most secular places on the planet–the most unpleasant experience a priest ever will encounter is preaching to an empty church. Middle Eastern Christians tend to choose to go to the Americas. They view Europe as a post-Christian society. However, there are some exceptions. For instance, the Swedish town of SÃ¶dertÃ¤lje has welcomed Christian immigrants since the 1970s, first from Turkey, then from Syria, and since 2003 from Iraq. SÃ¶dertÃ¤lje accepted more refugees from the Iraqi war than the US did. 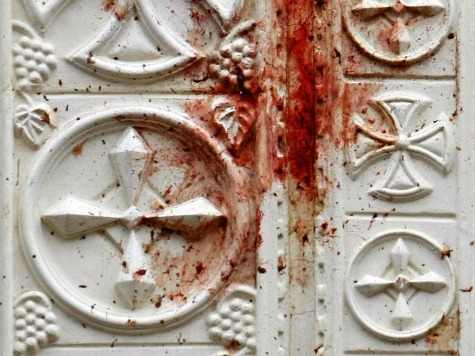 TWS: How does this end for Middle East Christians? The Jews built their own state, but this is unlikely with the Christians. So does someone step in and save their towns and regions, or is this a community on the verge of disappearing? WIVEL: There’s certainly a feeling among the Iraqi Christians that after 2000 years the Christian presence in Iraq, outside of the Kurdish area, is finished. Everyone knows that Sunni Muslim locals helped Islamic State in pointing out where the Christians lived in the summer of 2014 so that they could be evicted, enslaved or killed. Even if Islamic State is defeated the distrust toward the locals is monumental. Many call for a safe zone in the Nineveh Plains guarded by troops from the international community, but that’s doubtful. In other Arab countries like Egypt, Christians will continue to leave, but since there are several millions still living there, there will continue to be Christian presence for a long time. There are two things preventing Middle East Christians from leaving. First is that there is no Christian version of Israel where they can find refuge in the region. Second, migration to the West is becoming increasingly difficult. Europeans are not more welcoming of Christians than of Muslims. With no end to radicalism and the persecution of Christians in the Middle East in sight, the signs seem to point to the prophesies and intensifying violence and battle in this war torn region. No matter your political or spiritual view regarding the current unrest, as Christians we can unite on the front line in the fight together in prayer. Almighty God, in the name of Jesus defend your faithful in their time of need. Help them endure all that may come against them. Comfort them in their suffering, fear and grief. We pray freedom for those held captive. We ask that you intervene when violence and evil plots against your people. Father, help them to forgive. Oh God, give us your heart for the persecuted Church and for the persecutors. Refresh your Church with the Holy Spirit. Come quickly Lord Jesus, our Savior. In His Holy name, we ask these things. Amen. 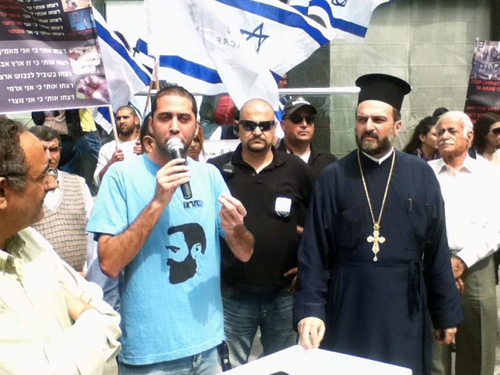 Jerusalem (Agenzia Fides) – The strike that Christian schools have been conducting for two weeks against the discriminatory policies implemented against them by the Israeli government represents a battle to defend education, “basic human right that should not be denied to any young person”. 13 Patriarchs and heads of Christian churches in Jerusalem contextualize the struggle waged by Christian educational institutions, that since the beginning of the school year have not yet opened the schools, to protest the cutting of state funding by the Israeli government. “It hurts us” write Christian leaders in a statement released on Wednesday, September 16 “to see 33 thousand students of all faiths and denominations who remain out of classes”, while hundreds of teachers and employees spend their days of mobilization in empty schools. The statement points out that the battle of justice against discrimination of Christian Schools began two years ago, when severe budget cuts imposed by the government led many Christian schools to pay in a situation of financial deficit. In the statement, the solutions proposed so far by the Israeli Ministry to overcome the crisis are defined unrealistic or pejorative. “For hundreds of years”, says the text sent to Fides “our schools offered high level education. Our commitment to the service of education and in the promotion of our society is rooted in our very mission and our vision”. The statement refers to the Ministry of Education and the Government of Israel to put in place measures that lead to the immediate suspension of the strike, responding to the right and certainly not exorbitant demands of Christian schools. The Patriarchs and Heads of Churches in Jerusalem hope that the story will eventually lead to the full restoration of the rights and the due respect to Christian schools”, so that they can continue their educational mission, for the glory of God and at the service of humanity”. The budgetary constraints imposed by the Jewish state are at the root of the protest, which put at risk the very survival of educational institutions animated by the Churches and Christian communities in Israel. In a few years, government subsidies to Christian schools have declined by more than 45%, forcing the institutions to increase the school fees paid by families, often with low incomes, below the national average. 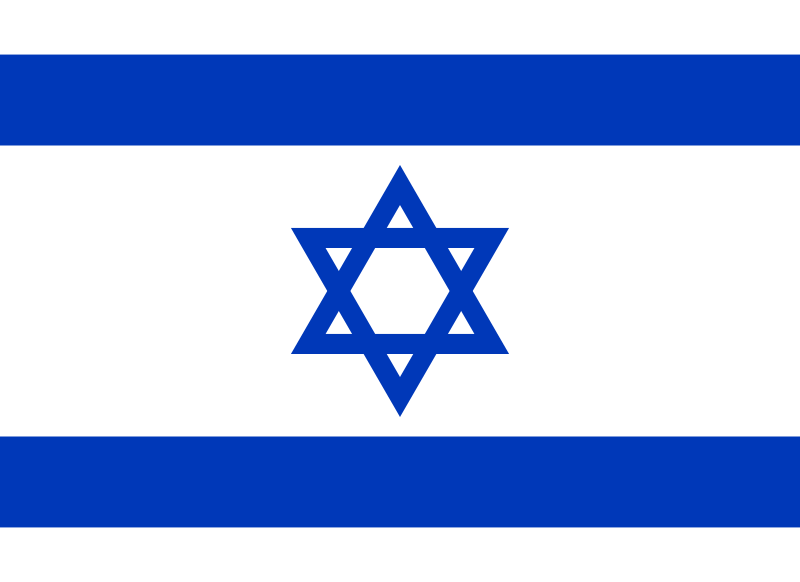 Christians make up slightly over 2% of Israel’s population. Christians are mainly Arabic speaking and attend Orthodox, Protestant, Catholic churches. These Christian schools recognised but unofficial by the Israeli government, are attended by Christians, Muslims, Druze, including Jews and considered some of the best in the country. These schools are known for their success and contribution to Arab and Israeli society, were mostly founded before the establishment of the State of Israel. In secular schools where Jewish students considerably out-perform their Arab classmates, Arab students at Christian schools do far better. On September 6, some 450,000 Arab Israeli pupils stayed home as their schools called a strike in solidarity with the Christian schools. Yesterday, students in the country’s Christian school system came out in droves to demonstrate in Haifa and other places. Protests continue on this 17th day of the strike. Outraged by the discrimination against them, many believe the budget cuts, which also puts a cap on tuition fees, are a death blow to the continuance of Christian schools in the nation. The Christian schools have been on strike since the school year began on Sept. 1 to protest cuts in government funding. Christian leaders have said the cuts amounted to discrimination. (Morning Star News) – After months of Islamic State (IS) committing horrific violence in the Middle East and North Africa, Palestinian Christians say a large number of Muslims in the Palestinian Territories and Israel have become “radicalized” and are much more aggressive toward them. The billboard was placed just outside the Greek Orthodox Church of the Annunciation, which, according to tradition, was the site where the angel Gabriel told Mary that she had been chosen by God to give birth to Jesus, the promised Messiah. According to local media reports, area Christians are too afraid to ask to have the sign removed. 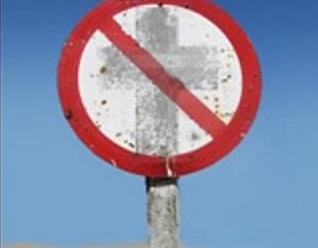 None of the Christians interviewed by Morning Star News were willing to talk about the sign. Nashat Filmon, general director of the Palestinian branch of The Bible Society, said recent hostilities in Jerusalem could be the related to IS. Filmon said the hostilities call for prayer in the Territories. “Pray for the relationships between Muslims and Christians to be good despite all of the problems,” he said. Pray that the Christians would act as they are called to be, ‘salt and light’ and a living testimony. 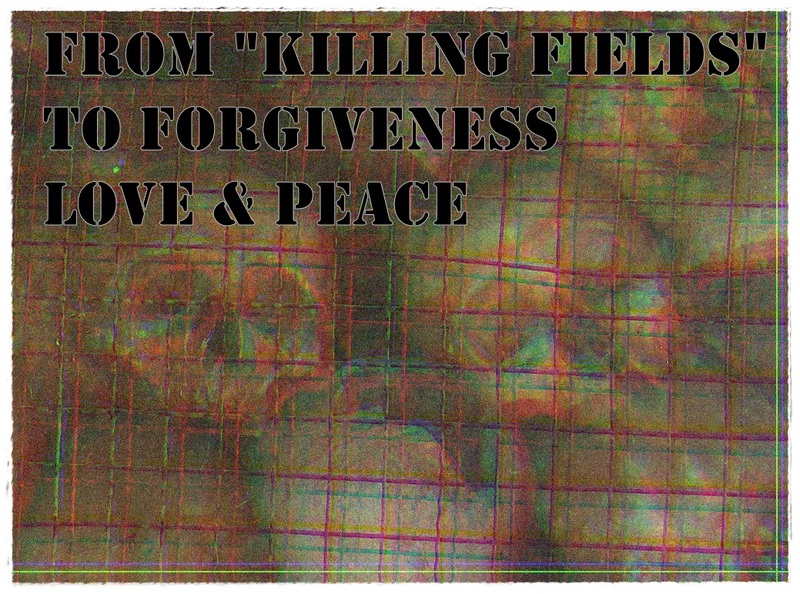 I recently did a post about the growing trend of supporting and joining the killing fields in the middle east. There is an ever growing number of those from the west calling themselves Christians who are supporting and even calling for killing in the name of Christianity. Is this what we are suppose to do? Is this commanded by Jesus? Yes, we can defend ourselves, but to be a crusader that backs and supports killing is another matter all together. Yesterday, on a Christian site, I read a piece titled, “Christian Militia teaches ISIS a lesson.” It literally sent chills down my spine. This is not about a re-birth of the crusades, this is not about imitating a Roman Emperor (Constantine). This is not about keeping score or revenge. God say’s ‘Vengeance is mine.’ This is about watching 1/4 of the world’s population as they are slaughtered and tortured. Today while reading the news about the American aide worker captured and beheaded by ISIS (his identity has not been confirmed), I felt what everyone feels—sadness, anger, rage even, but I also feel what he felt. Below is a quote from Peter Kassig in an interview he did about his work and why he felt compelled to do it. He started his own organization 2 years ago and traveled to Syria out of love to provide aid (food, clothing, and medical assistance) to the suffering people of the war in Syria. His Mother is calling for restraint in the media. She does not wish for the hostage takers to use anything that would further their cause. I couldn’t agree more. This honorable man should be held in high esteem, but to allow this evil to use any retaliation to further their cause and ideology is wrong. The claimed Christian militias are spreading fear and hate and a mindset of revenge. What they may not realize is they’re actually allowing this evil to grow in popularity. This tribulation is turning into a sort of sports game where scores are kept. The so called christian group in Nigeria called Anti-balaka are also spreading this same type of fear and hatred. They recruit those weak in faith or weakened by greif. By the way we have proven they are not a Christian group. We can also say that it’s been proven that the Lord’s Resistance Army has a huge presence in Nigeria even today. The lack of interest from the UN and western governments has fueled Boko Haram, ISIS, Al-Queda, and those like them, and the fear they are spreading. Fear breeds fear. Hate breeds hate. What have we become? As Christians, what have we become when we remain silent about the persecution our brothers and sisters are facing? As Christians is the only answer to take up arms and join in the slaughter? We can take a lesson from what is happening in Nigeria. Watch this video, it’s very graphic, but then ask yourself what are we becoming, when we allow fear and hatred to overtake us. We’ve remained silent while murderous rampages happen. What did we expect would happen, while thousands watch their loved ones systematically killed in the name of a religion and leaders stand idly by? What do we expect will happen when we as voices for the persecuted remain silent and complacent? What do we expect will happen unless we unite and form a chain of love and peace to aid those suffering. There is such a great need in Nigeria, Syria, Libya, Pakistan and all parts between. As these men who more resemble monsters are taking over 1/4 of the world, or at least that’s what they portray. The leaders of the free world are taking an obligatory response and fueling the flames, while some in the west are taking up arms to join the fight. A fight that is a losing battle at least for Christians, expanding the bulls-eye giving them reason to target each and every one of us. We, or at least some of us are sending the wrong message. As peace is taken from Jerusalem and a form of evil hatred is forced upon Israel, the rest of us are lulled into believing that peace has been taken from the world and there is no recourse except to trust in bureaucrats, or dictatorship. One that closes it’s eyes to genocide and persecution in order to divvy up the spoils and carve up the land. For God is not a God of disorder but of peace. As in all the congregations of the saints.. So does the word of God sound like it advocates hatred and killing? No in fact just the opposite. It advocates a peace that passes all understanding. (Philipians 4:7) And the peace of God, which passeth all understanding, shall keep your hearts and minds through Christ Jesus. So let us unite in our prayers for the 1/4 of the earth still in slavery and chaos, let us unite for our persecuted brethren, let us unite to give aid to the weak, the sick, the war torn, the tortured. Let us unite in Christ’s love and peace, for He alone can calm the storm, though it rage all around us, He alone can keep us safe in the midst of the waves. Not man, not a government, not a militia, not a crusade. God. I ask again, “How far do you go to stop evil, before you are also evil.”?????? We have not forgotten them. They are not invisible. We can not look away from our family in Christ. Our brothers and sisters need our immediate assistance. Will you partner with us in this mission? Together with your generous support, we can reach the goal to alleviate their suffering. In darkness and desperation, let us serve in love, with open arms and giving hands to provide light and hope. Thank you for your continued support. We could not do it without you! (Morning Star News) – Seven years of harassment and attacks by hard-line Muslims have finally forced a Palestinian church in East Jerusalem out of their building, church leaders said. Pastor Steven Khoury said he was emotionally torn when he handed over the keys. The persecution was difficult but had also been a catalyst for spiritual development, he said. The persecution started almost immediately after the congregation moved into the building in a predominantly Muslim area in 2007. Within 10 days of starting meetings and worship services, a Muslim who lived close to the church building attacked a member with a knife. Then someone tried to set the building on fire, likely with a Molotov cocktail, Khoury said. “It only burned a few of our playground sets and didn’t reach the building,” he said. Next came the vandalism – first cars parked at the church building were damaged, then the property, and finally there were physical attacks on children coming to church gatherings. “These were all spread out over a two- or three-year period, to let us know that we were not welcome there,” Khoury said. 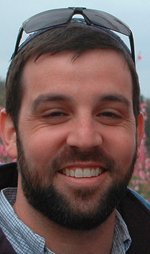 When the local government accepted a request in late 2008 to put up a road sign identifying the location of the church building, things “really escalated,” Khoury said. Eventually the landlord succumbed to the pressure, and the 110-member congregation had to leave the building. The departure last month was not the first time Muslims angry about their activities have forced the Jerusalem congregation to leave a building they were using for ministry. It has happened twice before. In 2006, Holy Land Missions had to leave a building in the Beit Hanina area of East Jerusalem, which, like Shofat, is a Muslim-majority area. In 2004, when the group rented the building, church vehicles were vandalized, a sign identifying the church was torn down twice and the building was subjected to repeated vandalism and break-ins, Khoury said. By comparison, Khoury doesn’t remember any other building near the church property being vandalized. Church administrator Hany Khayo said persecution has been constant. “I have been here since 2004, and every day we have a story,” Khayo said. Especially disheartening to the congregation was the response they received from clergy of “traditional” Christian denominations such as the Greek Orthodox and Armenian Orthodox. A well-known phenomenon in the Middle East rarely discussed openly, centuries-old churches accuse evangelical Christians of “sheep stealing” when they arrive to establish churches. Paradoxically, hard-line Muslims tend to be more tolerant of the ancient churches because of the perception that they do not engage in evangelism, whereas evangelical denominations, by definition, actively spread the message of Christ. Any missionary activity brings them into direct conflict with Muslims. “[They persecute us] because we believe in one God, because we believe that Jesus is our Lord and we ask everyone to have God’s love,” Khayo said. Eventually the landlord of the Beit Hanina building began receiving threats from his fellow Muslims, and the church had to leave after only two years. 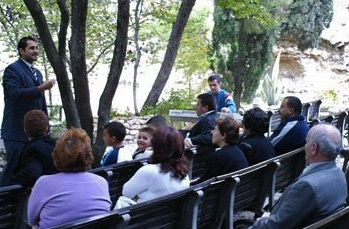 The Beit Hanina congregation was Khoury’s second attempt to plant a church in Jerusalem. When he was an adolescent his father, a convert from Islam and a pastor, ministered in East Jerusalem and Bethlehem. During that time, Khoury’s uncle, George Khoury, showed the need for a church in East Jerusalem. He would also display the power that a church body can have on people’s lives, changing young Khoury’s life forever. In the mid-1990s, George Khoury was a stocky, 6-foot-6 man known to be a trouble-maker with anger issues. He was also a Muslim. Young Khoury’s father invited him to a three-day prayer conference. The verse became prophetic when a neighbor began frantically knocking on George Khoury’s door as he sat in his house one night. Some Muslims in Wadi al-Joz were trying to take an elderly man’s house from him by force. George Khoury took him into his house to protect him, and then walked outside to face the group of Muslims and stop the attack. It was the last thing he would do. The Wadi al-Joz congregation rented a building to use as a church but was forced to leave it as well because of persecution. When the Wadi al-Joz congregation left the building, members tried to set up house churches but quickly found that didn’t work, Khoury said. Whereas converts and other Christians could go to a church building with some degree of safety and anonymity, it was nearly impossible to meet unnoticed in a house church because of the small, tightly knit community that defines Palestinian society. Some of the original Wadi al-Joz members later joined other “above-ground” churches. Others left the country because of political problems and violence. As a temporary measure, the Shofat church rents a meeting hall for a few hours, two times a week. They found a multi-story building they would like to buy for $3.5 million. The price of the building is high because of the incredibly competitive real estate market in Jerusalem, Khoury said. In spite of all that happened to him and his congregation, Khoury said they are determined to stay in Jerusalem and do what he feels God has called them to do. TEL AVIV – One hundred fifty Christian citizens of Israel demonstrated Sunday, March 23, outside the European Union’s delegation in Tel Aviv against the EU’s silence in relation to what they termed “the ethnic cleansing of Christians throughout the Middle East.” The protesters demanded that the EU act on their own cry for human rights and fight for the Christians throughout the Middle East, who are quickly becoming extinct everywhere but Israel. Last week the Christian Lobby sent a letter to the EU Ambassador in Israel and 18 other western Ambassadors protesting inaction. “We, the members of the Christian Lobby in Israel, found it appropriate to turn to you and cry out about the human and citizens’ rights condition of our Christian brothers across the Middle East. The slaughter, persecution, discrimination, apartheid, the ethnic cleansing, and all the crimes committed against the Indigenous Aramaic & Christians of the Middle East, in Egypt, Syria, Iraq, Gaza, Lebanon and the Palestinian Authority, among others, and continue to be committed without any intervention of the Western countries,” the letter states. “From here, from the State of Israel, a state that was established by a nation that was persecuted and slaughtered while the world stood by and watched, we the members of the Israeli Christian lobby are calling out “no more,” we will no longer be silent. No more to the abandonment of Christians in the Middle East. No more to the double standards and hypocrisy. And yes to taking action for the persecuted Christian minority. We are demanding the involvement of your country to stop the ethnic cleansing committed against the Eastern Christian nation in the Arab countries and the Middle East,” the letter concludes. A recent study warns that Christianity is at the risk of being wiped out in the biblical heartlands of the Middle East. According to the London Daily Telegraph, which cites the study, 10% of Christians worldwide – approximately 200 million – are “socially disadvantaged, harassed or actively oppressed for their beliefs.” With over 2.3 billion Christians around the world, the study notes that Christians face the most persecution in the region of the world where Christianity first originated – the Middle East. Jewish human rights group on Thursday condemned Christmas Day attacks on Christians in Baghdad that left at least 37 people dead. At least 37 people were killed in bomb attacks in Christian areas of Baghdad on Christmas and dozens of other injured, some by a car bomb near a church after a service. “That these religious celebrations in Iraq turned into carnage was entirely predictable as Al Qaeda and other Islamist terrorists have labeled Iraqi Christians as heretics,” charged Rabbi Abraham Cooper, Associate Dean of the Center. “Indeed, Iraqi security forces were posted at churches, whose worshippers braved the threat of death to mark the holiest day on their calendar. We call on the United States and the EU to take the lead in committing to protect religious minorities wherever they dwell. 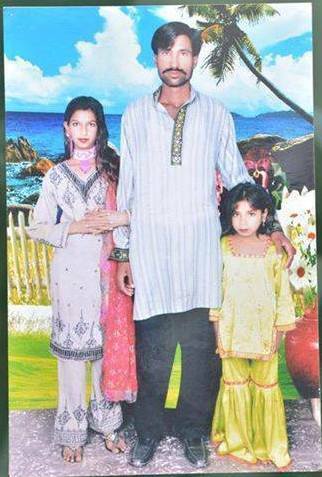 The civilized world’s overwhelming silence and inaction only guarantees more innocent victims in 2014,” Cooper continued. Earlier this year, during a private Simon Wiesenthal Center audience with Pope Francis, Center dean and founder Rabbi Marvin Hier told the Pope that he has an ally in his efforts to protect persecuted religious minorities, including endangered Christian communities. 310-553-9036, join the Center on Facebook, www.facebook.com/simonwiesenthalcenter, or follow @simonwiesenthal for news updates sent direct to your Twitter page or mobile device.